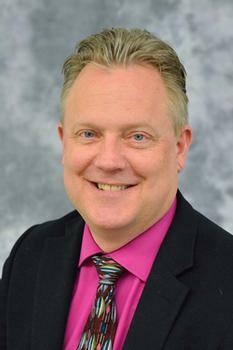 Richard Van Eck(richard.vaneck@med.und.edu is Associate Dean for Teaching and Learning and the founding Dr. David and Lola Rognlie Monson Endowed Professor in Medical Education at the University of North Dakota School of Medicine and Health Sciences. He has been studying digital games since his doctoral studies at the University of South Alabama, where he worked on two award-winning science and problem-solving digital games (Adventures in Problem Solvingand Ribbit’s Big Splash). His recent work has included being an evaluation and game design consultant on several digital STEM games, including PlatinuMath, Project NEO, Project Blackfeather,and Contemporary Studies of the Zombie Apocalypse.He is a frequent keynote speaker and author on the educational potential of videogames at such venues as TEDx Manitoba and SXSW. He also publishes and presents on intelligent tutoring systems, pedagogical agents, authoring tools, and gender and technology. Van Eck, R. (Ed.). (2010). Interdisciplinary models and tools for serious games: Emerging concepts and future directions. Hershey, PA: IGI Global. Van Eck, R. (Ed.). (2010). Gaming & cognition: Theories and perspectives from the learning sciences. Hershey, PA: IGI Global. Roberts, N., & Van Eck, R. (2019). How and where to teach the master adaptive learner model to students. Chicago: American Medical Association. Van Eck, R. N., Shute, V. J., & Rieber, L. (2018). Leveling up. In R. A. Reiser, & J. V. Dempsey (Eds. ), Trends and issues in instructional design and technology (4th ed., pp. 321–332). New York, NY: Pearson Education. Poltavski, D., Van Eck, R., & Winger, A. (2018). Using a polygraph system for evaluation of the Social Desirability Response Bias in self-report measures of aggression.Applied Psychophysiology and Biofeedback, pp. 1–10. Appianing, J., & Van Eck, R. N. (2018). Development and validation of the Value-Expectancy STEM Assessment Scale for students in higher education. International Journal of STEM Education. Van Eck, R. N., Fu, H., & Drechsel, P. (2015). Can simulator immersion change cognitive style? Results from a cross-sectional study of field-dependence–independence in air traffic control students. Journal of Computing in Higher Education, 27(3) 196–214. Van Eck, R. N. (2015). Digital game-based learning: Still restless, after all these years. EDUCAUSE Review, 50(6), 12–28. Van Eck, R. (March/April, 2006). Digital game–based learning: It's not just the digital natives who are restless. Invited cover story for Educause Review, 41(2). Van Eck, R. (2015). The power of video games to reshape learning. Invited speaker at the GameChangerND conference, September 26, 2015, Bismarck, ND. Van Eck, R. (2014). Gaming and learning.Keynote presentation at the Manitoba Association for Distributed Learning and Training (MADLaT) international conference, May 1–2, 2014, Winnipeg, MB, CA. Van Eck, R. (2011). How video games may transform education (and why we may not like it). Invited speaker at TEDx Manitoba, an independently organized TED event. February 15, 2011, Winnipeg, MB, CA. Van Eck, R. (2008). Game-based learning: What game designers & educators should know about serious games. Keynote speaker for les e•virtuoses, November 26, 2008, Lille, France. Van Eck, R., Adcock. A., De Schutter, B., & Malliet, S. (2013). Designing games for realism: What’s real enough?Panel presentation at the South by Southwest Interactive Festival, Austin, TX, March 8–12, 2012. BA English and Psychology, University of Wisconsin, Milwaukee.